This design tiles vertically and horizontally. The images in the middle shows three vertical repeats and four repeats. 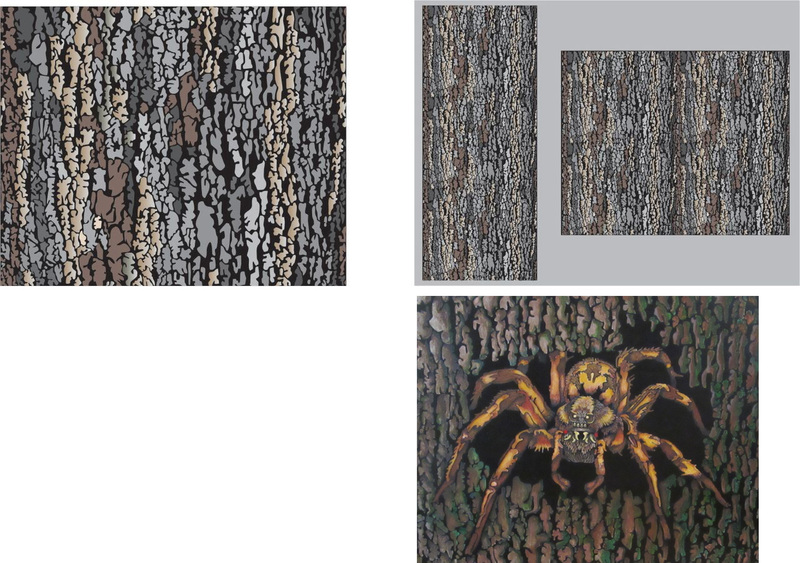 The image in the right is a painted canvas using part of this bark texture and our Wolf Spider.